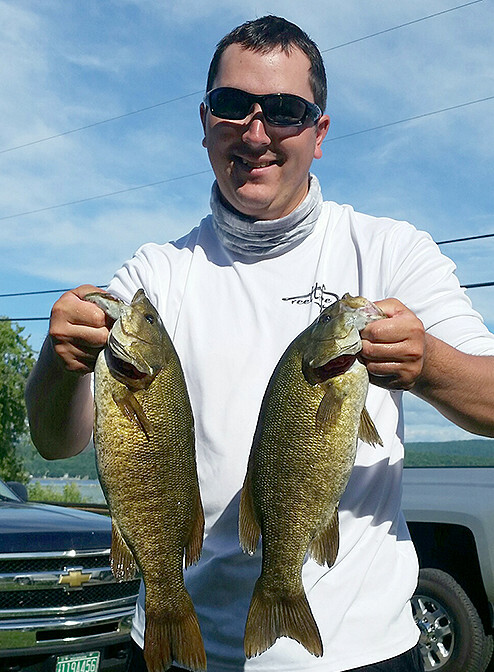 The 2017 Avid Anglers season kicked off in grand style at Lake Champlain North (St. Albans) with our annual two-day event. 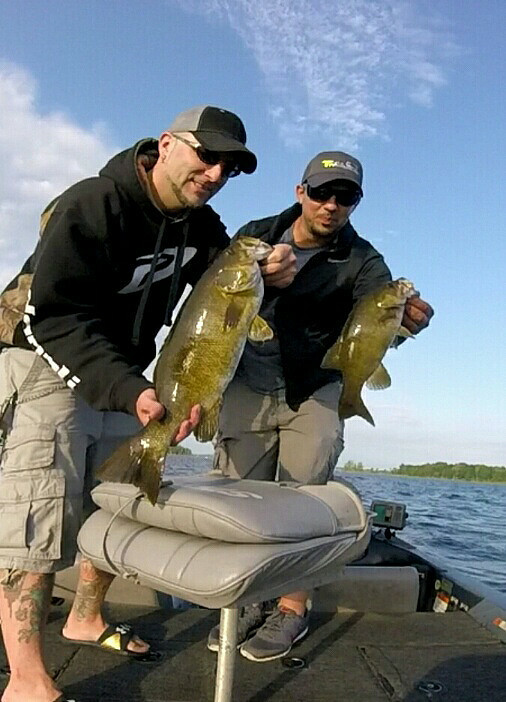 The weather was great, the winds light and both the largemouth and smallmouth bites were on! 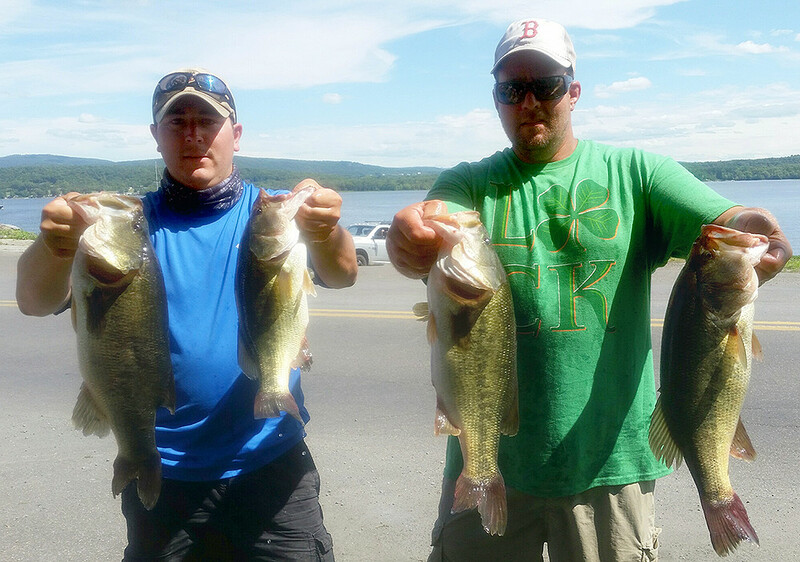 Even though only eight members made the trip, the competition was fierce (but friendly) and everyone caught a limit both days. 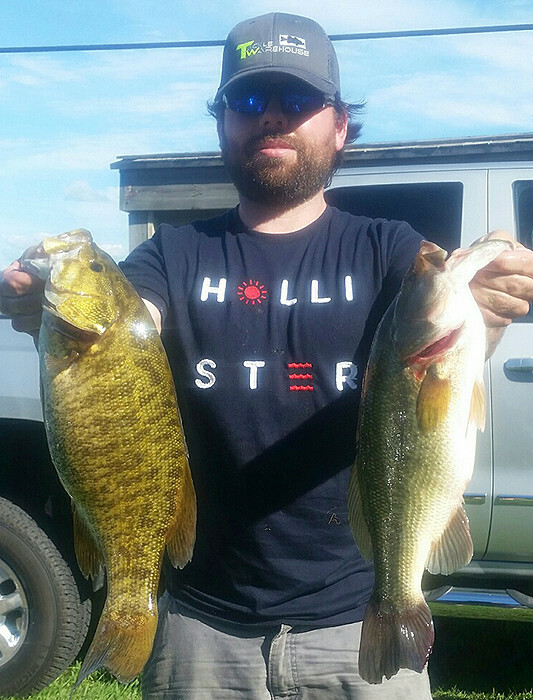 Somewhat surprisingly the largemouth outnumbered the smallies at the scale 42:38; even though nice largemouth have been weighed in past Avid events here the smallmouth had always dominated. 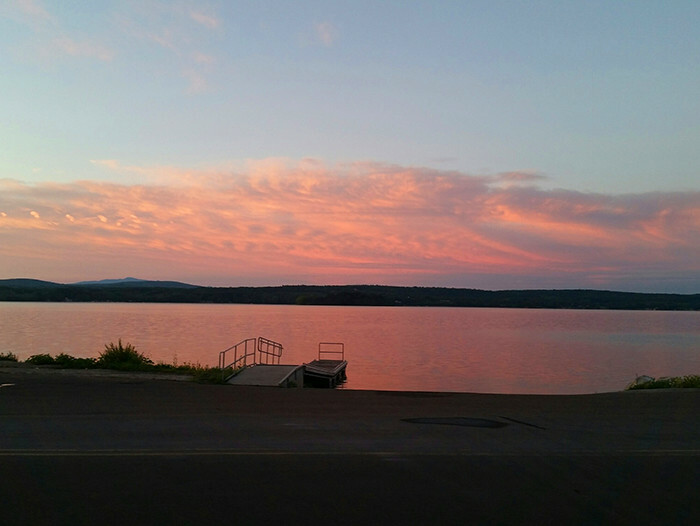 The water level of the lake was at least two feet below normal for this time of year and, despite this, the weeds were much sparser than on previous visits. 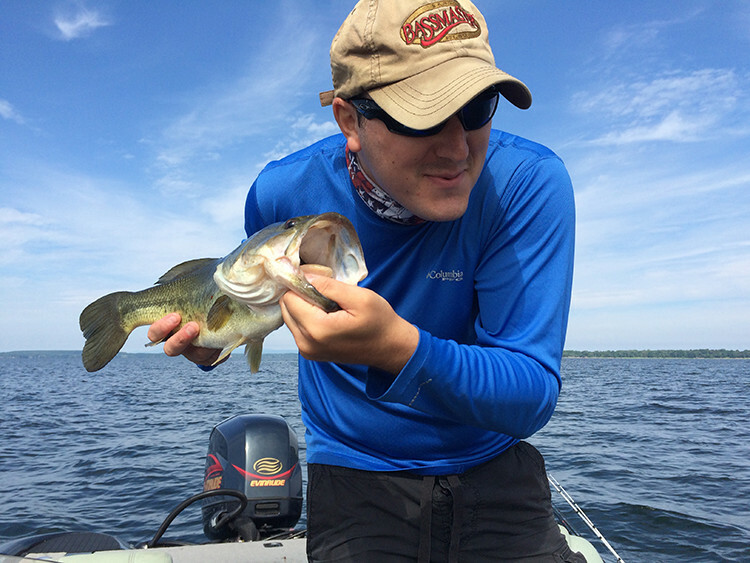 Not that anyone complained: it generally made for easier fishing when weeds could be found and the water clarity seemed better too. 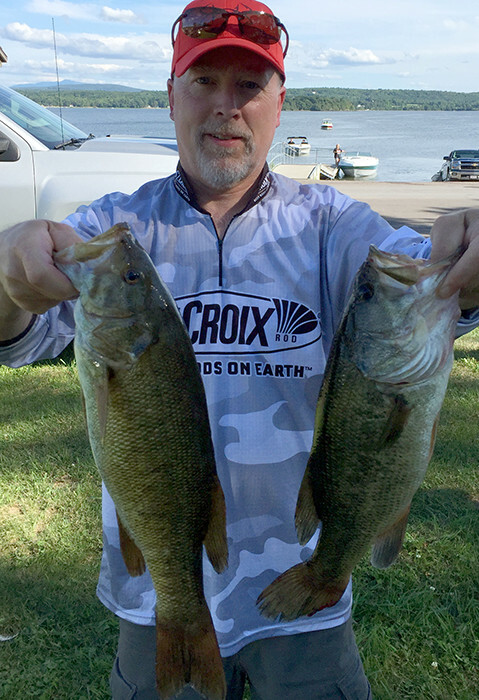 Day one saw some nice fish weighed but no one caught a real hefty fish, with the day's lunkers being Steve LeDonne’s 3.86 largemouth and Mike Cadle’s 3.87 smallmouth. 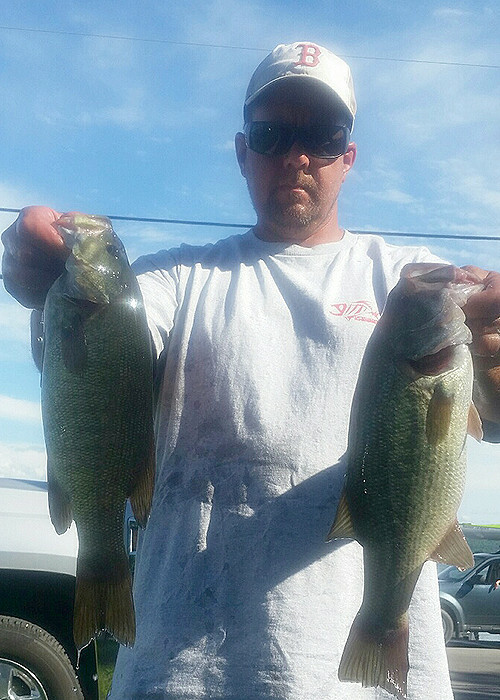 Those fish were enough to compliment each of those angler’s bags that they ended the day in third and second place, respectively. 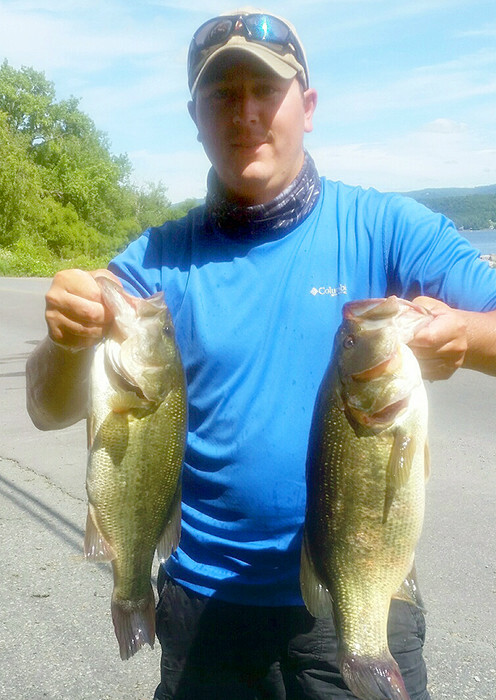 Steve's day one total was 12.42 lbs. 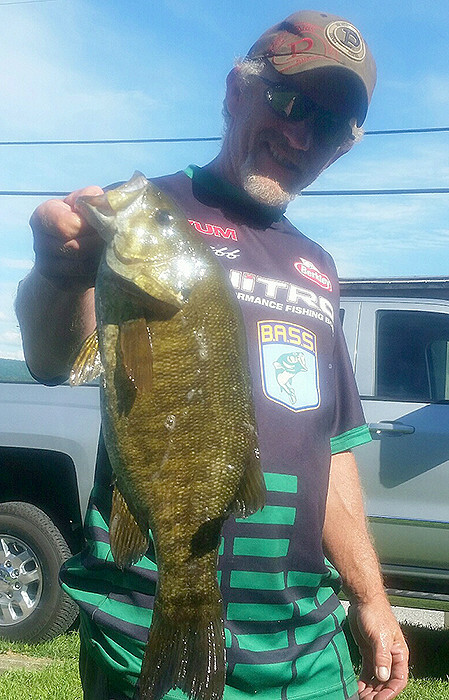 and Mike’s was 13.98 lbs., and his big smallie captured the event’s smallmouth lunker award. 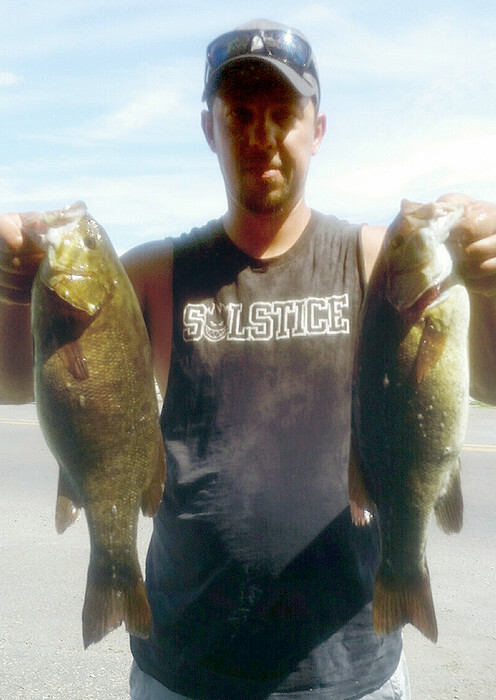 Paul Carvalho ended up the day one leader with a bag totaling 15.03 lbs. 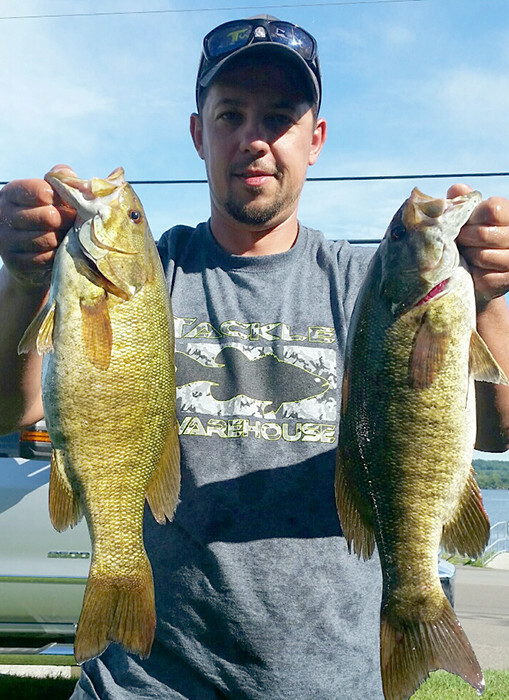 Day two was virtually flat calm and many anglers took advantage of the conditions to improve upon their day one catches. 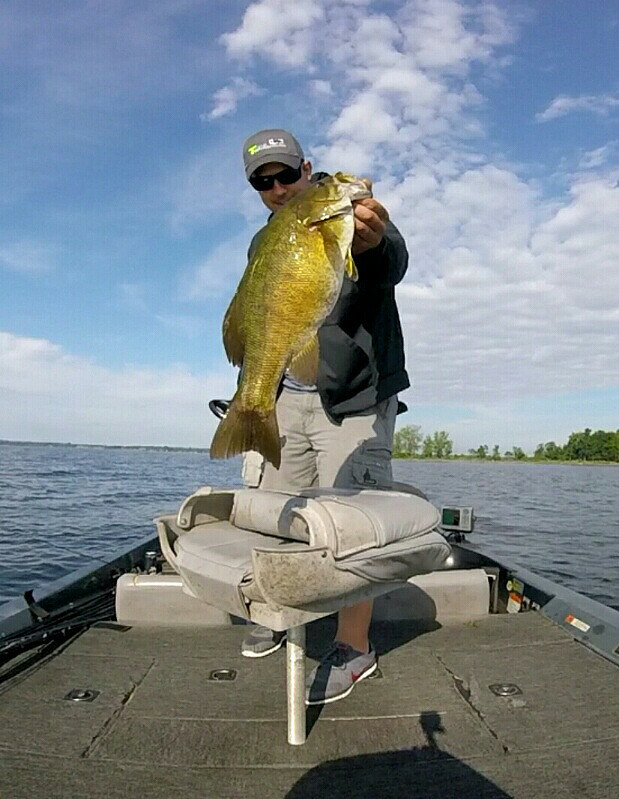 For example, there were three fish weighed that were over 4 lbs., and the total day two weight eclipsed the day one weight by nearly 20 pounds. 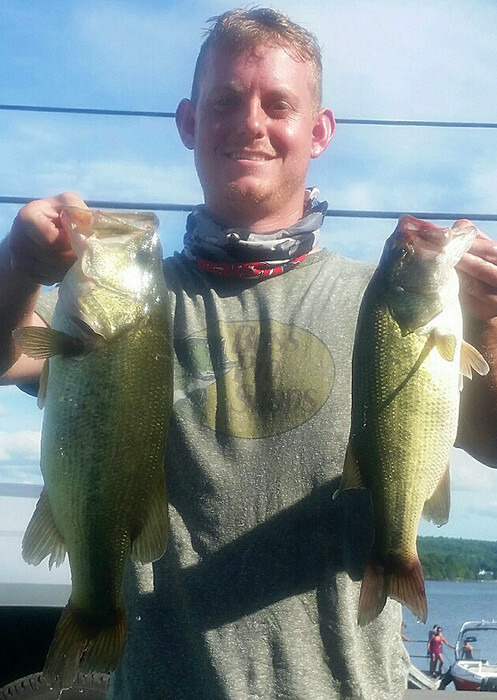 The largest of the largie lunkers belonged to coangler Nick Mulcahy and tipped the scales at 4.78 lbs., landing him the largemouth lunker award. 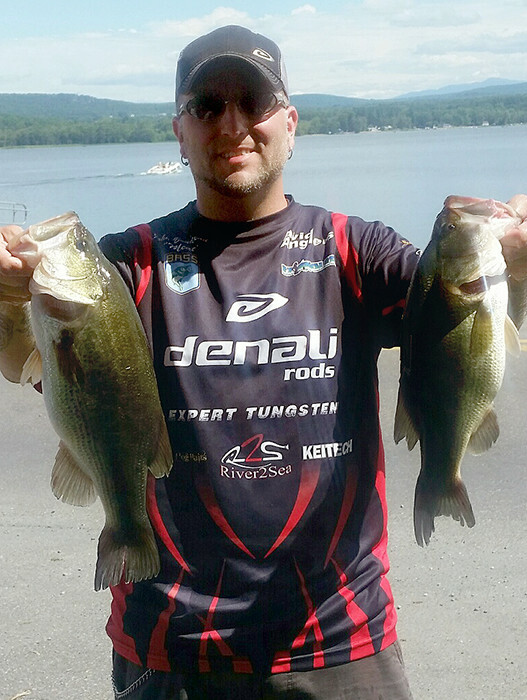 In third for the day was Jeff Jenness with a limit that weighed 14.31 lbs. 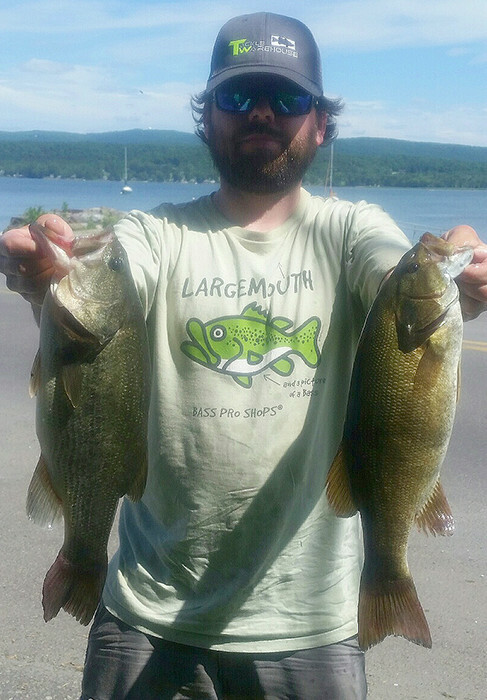 In second was Nick with a bag of 15.4 lbs. 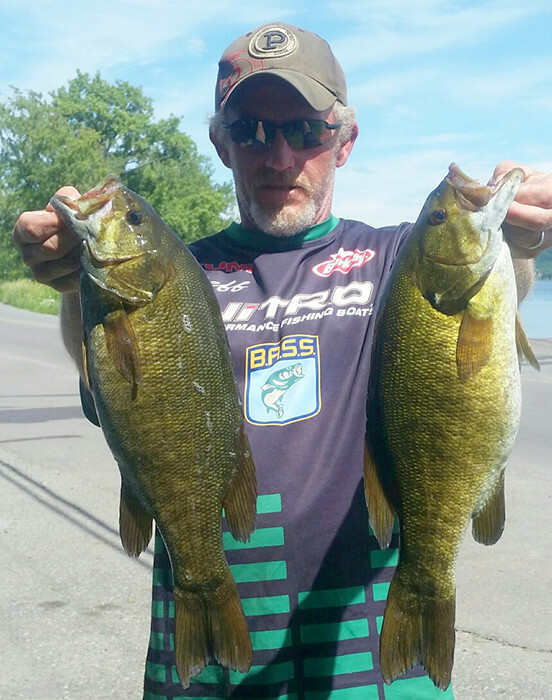 And putting everyone else to shame, in first place, was Fred Naymie with a whopping 19.48 lbs. How did that all play out overall? 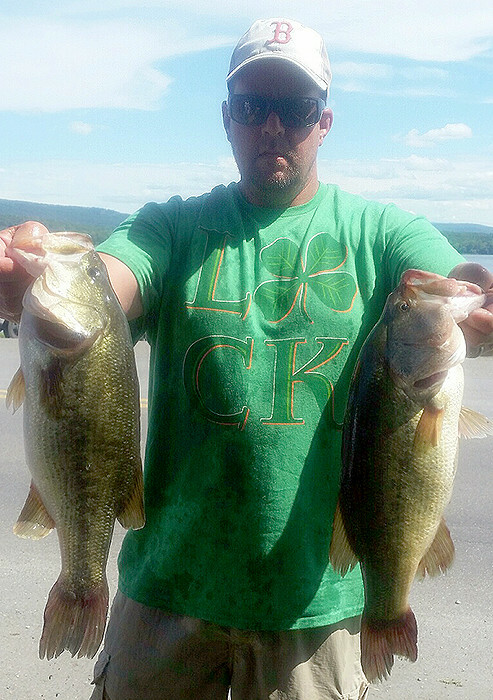 Well, Fred ended up the winner with a 2-day total of 31.32 lbs. 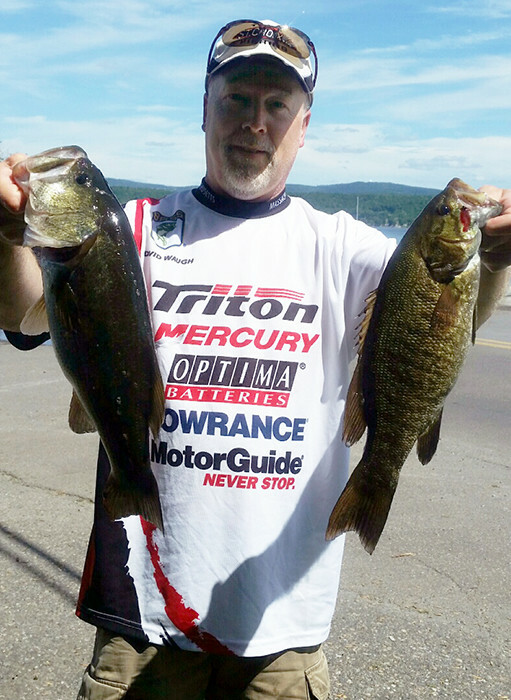 In second was Paul Carvalho with 28.33 lbs. 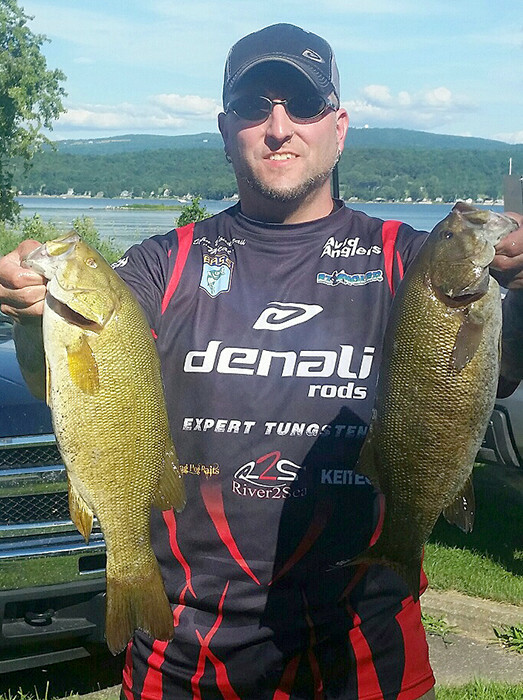 and in third was Mike Caudle with 27.16 lbs. 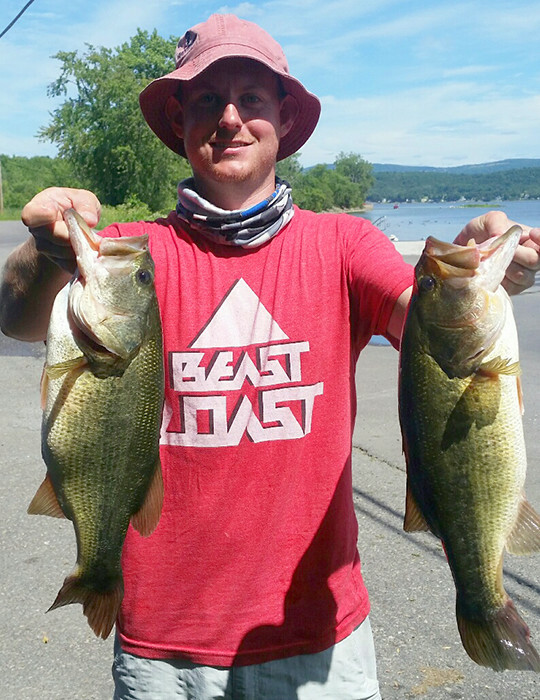 An interesting note is that on Day two Nick fished out of Fred’s boat and, combined, they weighed 10 fish for 34.88 lbs. Pretty impressive. 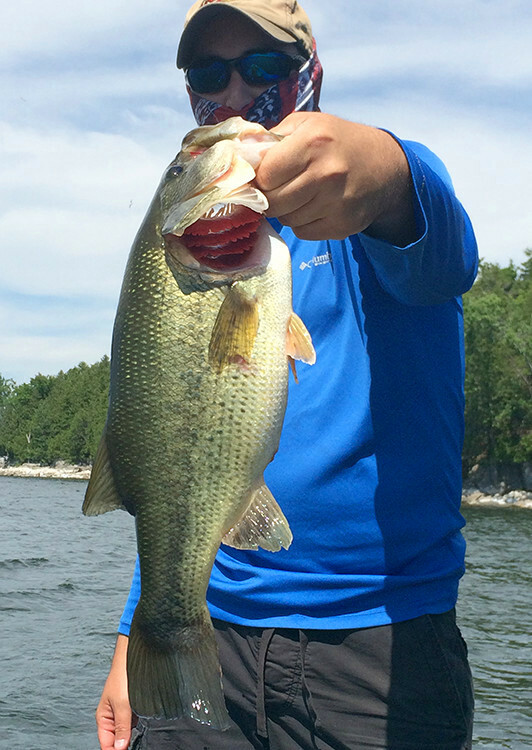 Average weight per fish: 2.58 lbs.